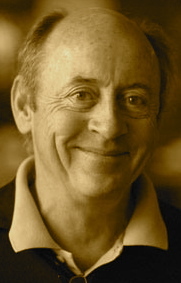 A Year of Being Here: Billy Collins: "Japan"
saying the words over and over. I say it in front of the painting of the sea. and moves like a hinge in the air above our head. "Japan" by Billy Collins, from Picnic, Lightning. © University of Pittsburgh Press, 1998. Photograph: Detail of a haiga by Ray Rasmussen (originally color). 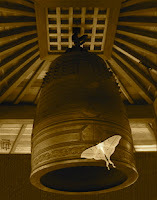 A haiga is a haiku presented with an image.